Only three weeks to go to the Press Awards ... a guaranteed great night out. 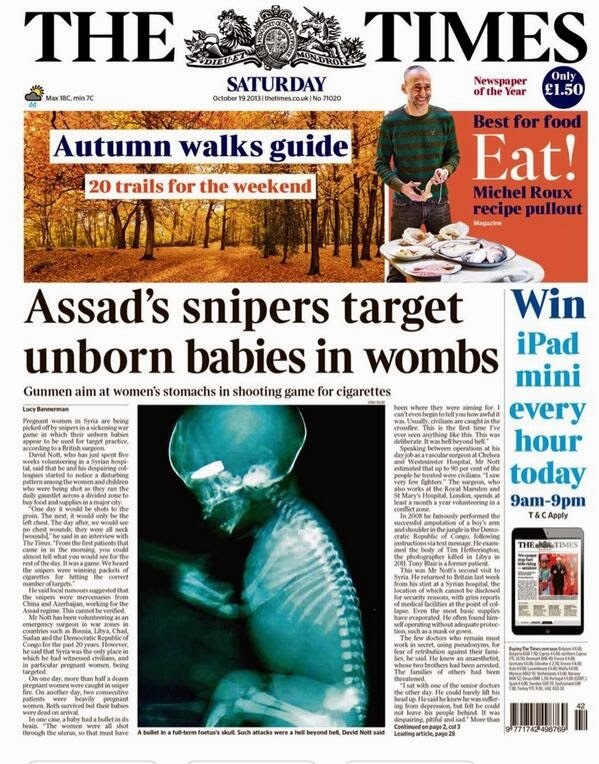 One of my favourite awards has always been Front Page of the Year. That's not just because it is easier to judge than the written categories, but because it is such a critical and creative part of what newspapers do. Persuading people to pick up a newspaper by using a mix of words, images, type and colour on a piece of paper is a great art. It needs design, journalism and marketing skills. Having the best front page on the news-stands is what it's all about. The shortlisted six in this year's awards are all top notch - and are all radically different. The only slight surprise is that the deaths of Nelson Mandela and Margaret Thatcher didn't make the last six. There is a good mix though. 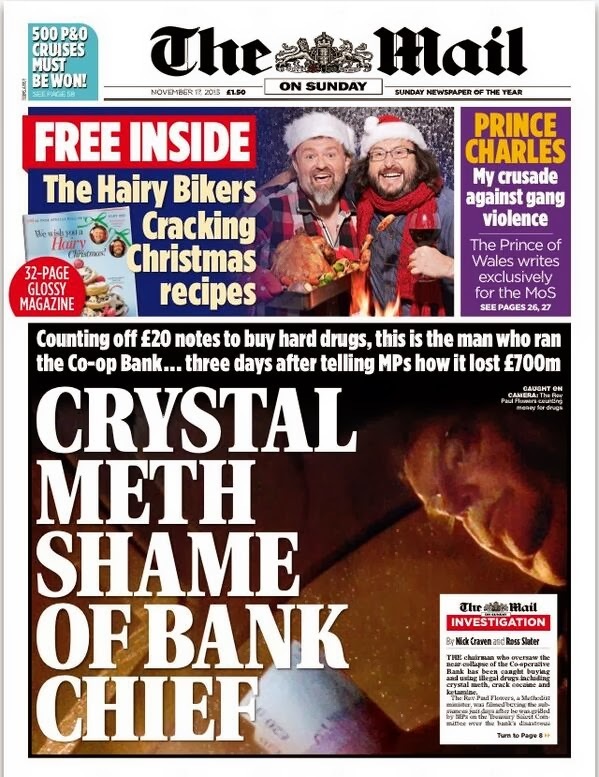 Two qualities, two middle-market, two red-tops, two Sundays, four dailies - and six cracking stories. The judges clearly had an almost impossible task to choose just one. Which would you go for? NB: I wasn't a judge in this category and have no idea who has won. 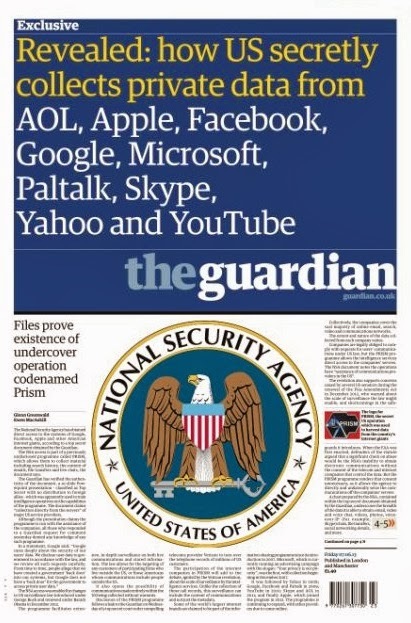 Labels: Front Page of the Year, Press Awards. 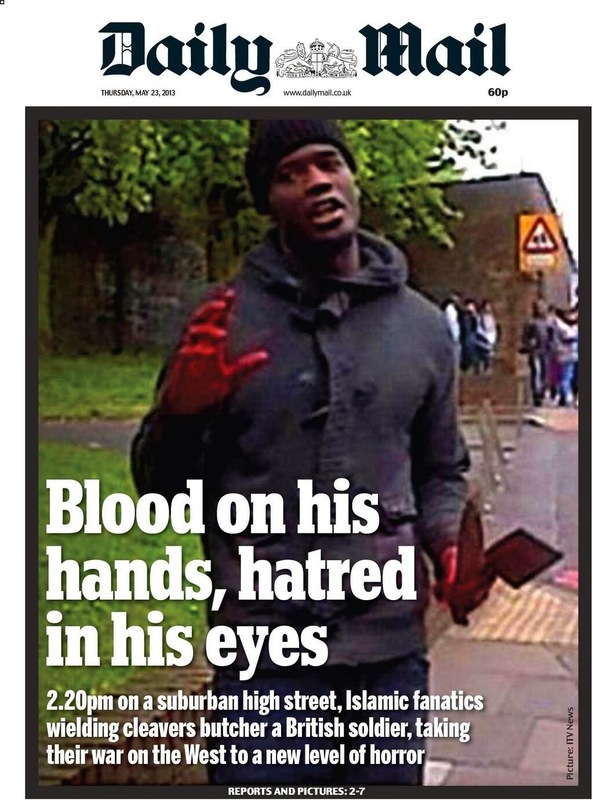 The Mail's 'Blood on his hands' would be my choice. You couldn't pass that paper on the news stands and not read that story. They dropped their puff and used the striking pic big and brazen. I can only imagine the hurried conference wondering "Is this too gory? and Will we offend the readers?" 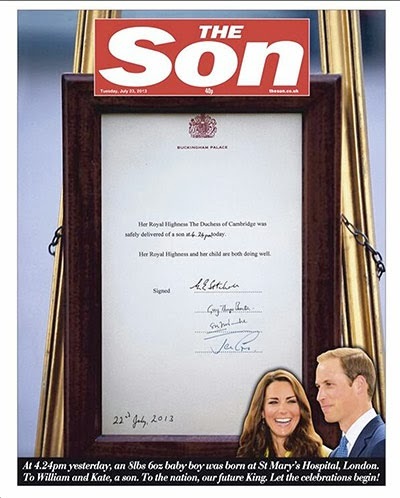 I'm also attracted to the bravery of The Sun's royal baby cover - changing their name for a day is clever and fun.